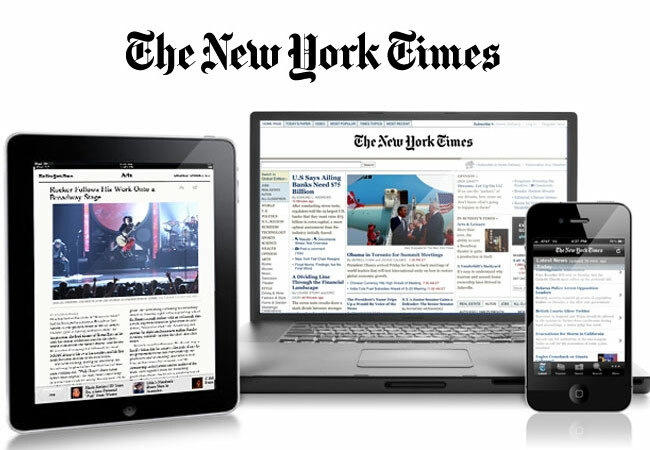 Your Contra Costa County Library card gives you 24 hour complimentary access to the digital edition of The New York Times. Go to the New York Times account page. Enter your library card and last name if outside the library. Create Your New York Times Account or Log In if you already have an account with this provider. Enjoy from any location, on any web enabled device, by just logging into NYTimes.com with that same email and password. In-library use provides full-text online articles from 1981 – present. Due to publishing restrictions, articles from 1923 – 80 are not available for on-site access; however, patrons can access 5 articles per day from this date range via remote access. The Crosswords app is not included; however, crosswords from the past week, as well as a handful from the archive, are available in the Crosswords section. The Cooking app is not included, but patrons can access recipes via the Food section.